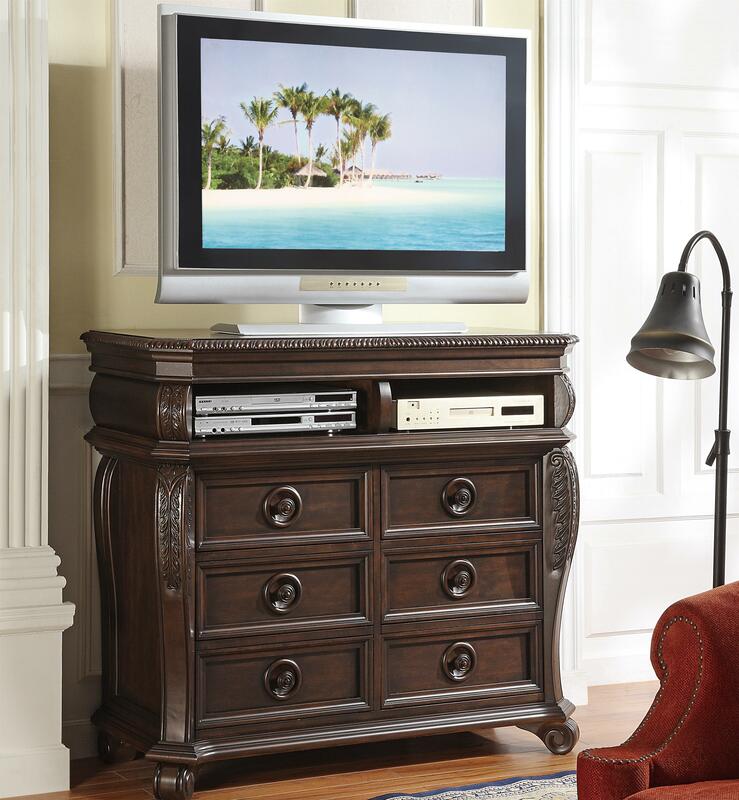 You can bring the convenience of the living room into your bedroom with this media chest. 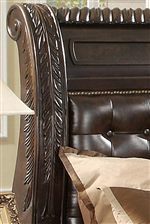 The piece carries a rich medium brown finish and features acanthus leaf motif along the corners as well as round knobs with circled indents. Plus, the six drawers and two open compartments are great for keeping DVDs, CDs, cords, video games and various media players. 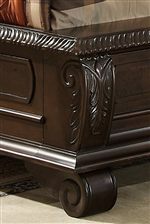 There will be a lot to like with this media chest in your bedroom decor. 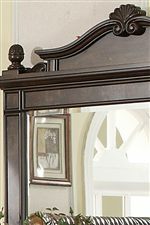 The B2160 Media Chest w/ 6 Drawers and 2 Shelves at Miskelly Furniture in the Jackson, Pearl, Madison, Ridgeland, Flowood Mississippi area. Product availability may vary. Contact us for the most current availability on this product.